Now that my vacation posts are FINALLY done, it's time for a few fashion week recaps from my day in the city on the 17th. My day started off at the Bene Rialto Lounge. 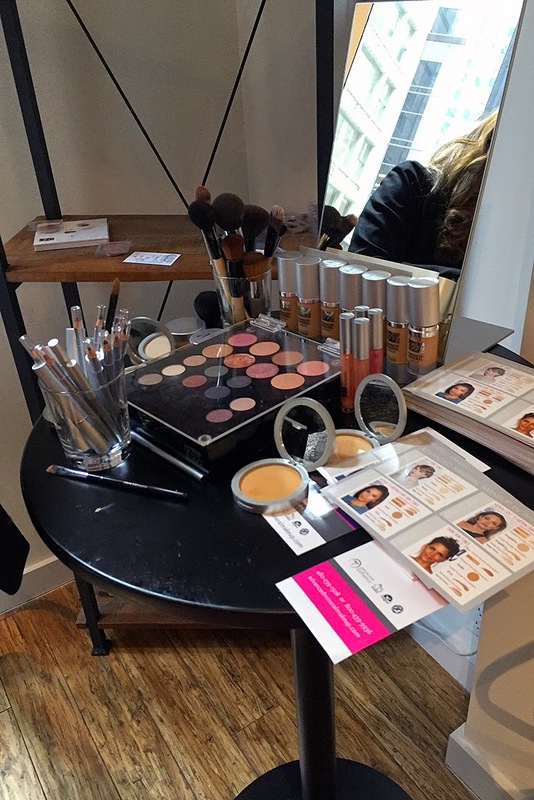 The lounge was open for a week and had so many fun beauty products to try out! Below I will post small reviews about all the products I was able to try out and my various beauty treatments! First, let's have a quick chat about Bene Rialto. It was created by Caryn Neary who I was lucky enough to chat with at the event. 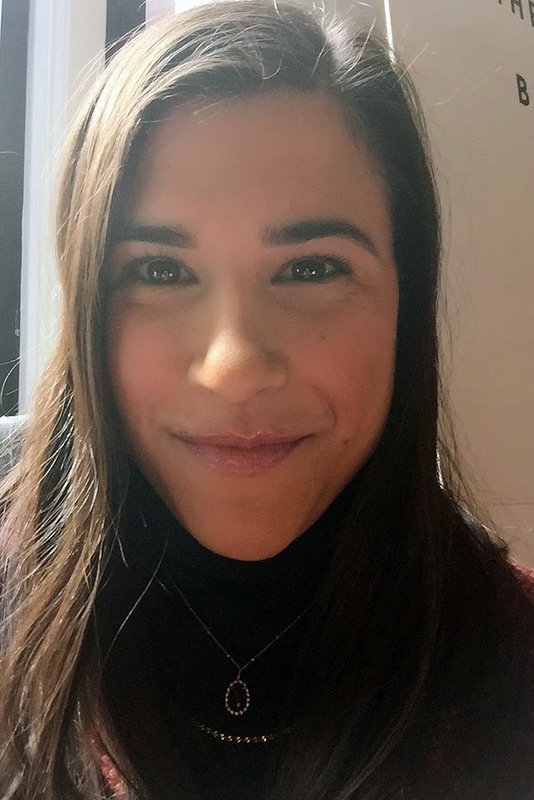 She wanted to create a new kind of marketplace designed to connect people to each other, experiences, and ideas. The space has three functions. It serves as a store, showroom and educational space for emerging designers. The Bene Lounge (where the event was held) was located on the third floor. The first three marketplace floors showcase over 60 brands of fashion, food and art. The 4th and 5th floors are home to Bene Collective, the fashion trade extension of Bene Rialto’s retail marketplace. 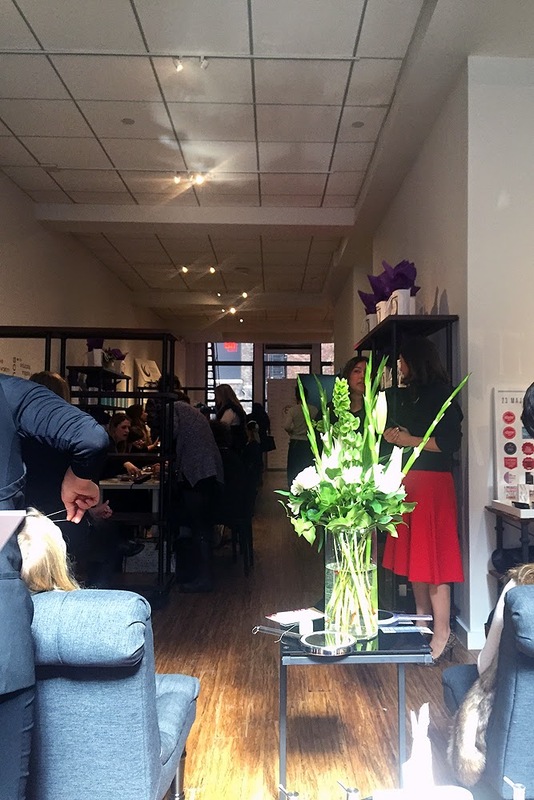 Bene Collective offers brands an opportunity to meet, showcase, and sell to the most influential fashion retailers and ambassadors in a warm, beautiful space. 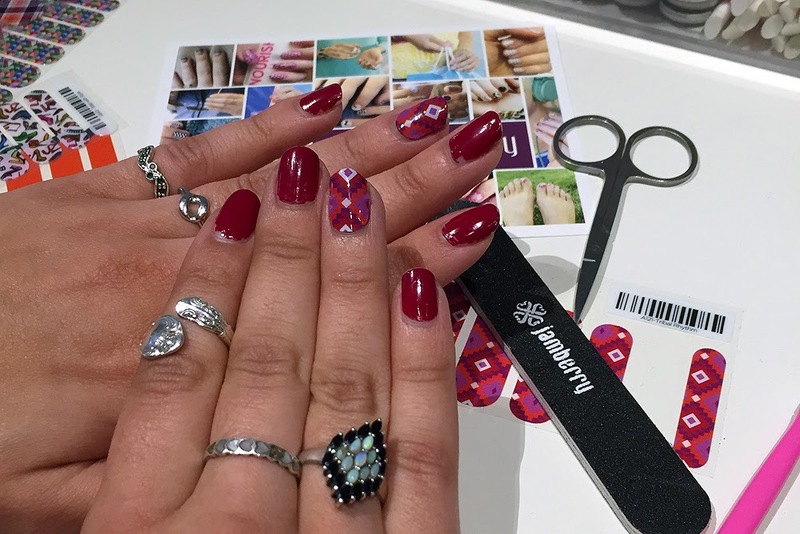 My first stop was the JamBerry DIY nail art bar where I tried out their amazing nail wraps. All you need to apply them is a little heat (plus scissors and a nail file to trim excess.) I used the wrap as an accent nail on both my ring fingers. The wraps will stay on your nails for two weeks and will NOT chip! Application was super easy with the mini heaters they supplied, but you can also use a blow drier. You cut the wrap in half, heat it, apply and then file off the excess. After that I got a makeup touch-up thanks to Advance Mineral Makeup and Natalia Carrasco. The products do not contain any talc, perfumes, dyes or preservatives making it better for the skin. Natalia didn't do anything crazy with my makeup, she just covered up some blemishes and made sure my skin tone was even. That's really all you need when it comes to makeup, and the mineral based products did a wonderful job. It didn't even look like I had makeup on. Next it was time to get my eyebrows threaded by the lovely ladies of Wink Brow Bar. While still slightly painful (like a pinch on the skin,) the process was fairly quick and my skin did not redden as waxing sometimes tends to do. What makes Wink unique is the Wink Power Program, started by founder Umbreen. She told me that they help to empower women by learning a skill (threading) so that they can support themselves. According to her, "Every time you shape your brows at Wink, you help shape the future for women and girls all over the world." Then it was on to hair! The lovely Giles Robinson of Color Wow gave me beautiful waves and used their products to add a bit more shine to my hair. Although, as he said, my hair is already super shiny! My hair is naturally straight and the best I can do to curl my hair is leave it in a bun overnight after showering (which flattens out within a few hours) so it was nice to have REAL WAVES for once, they lasted all day and I got home at 12:30 am. Their products are mainly for women with colored hair, but anyone can use them! Just check out these AMAZING videos where they use root coverup powder to hide gray hairs and fix highlights. I also quickly learned about Bottega Organica and Key West Aloe. 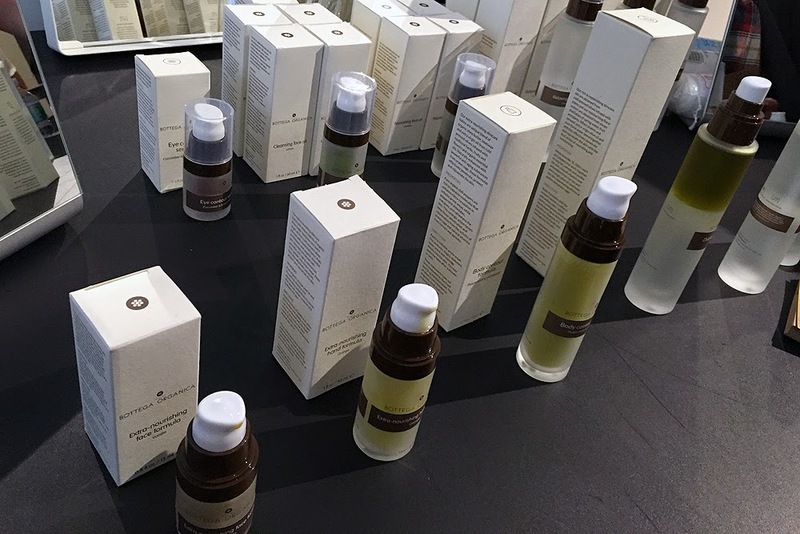 Bottega Organica's products are 100% pure and natural. What makes them even more unique is the fact that all ingredients are harvested and processed naturally in their farms in Italy and upstate NY. 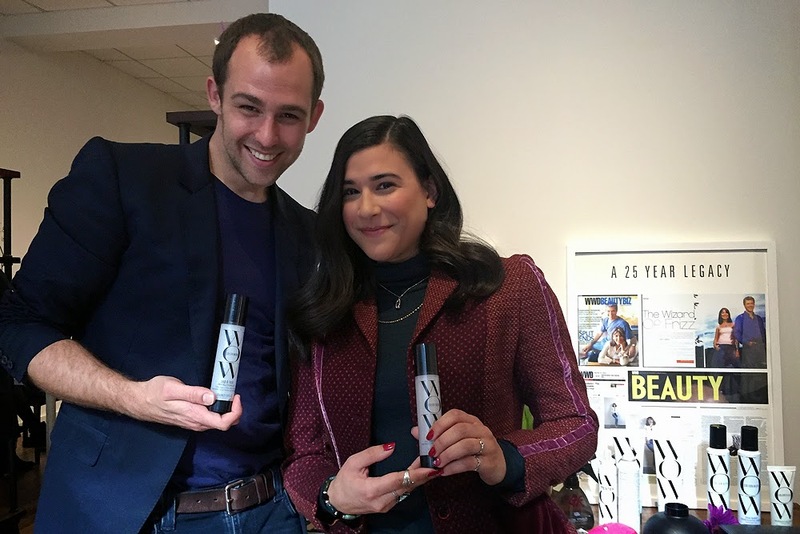 Their products are "meticulously crafted to nurture the skin and prolong youthfulness without the use of preservatives, emulsifiers, artificial fragrances, colors or synthetics of any kind." Key West Aloe uses a similar all natural approach using 100% Lab-Certified Aloe to nourish and moisturize even the most sensitive skin. I got to try out the Key Lime Salt Scrub followed by a moisturizing lotion. After that treatment my hands felt amazing, super moisturized and soft. Did you know that if you have a sugar based scrub and leave it in your shower it will grow bacteria? I certainty didn't! Luckily KWA uses salt in their scrubs, which will NOT grow bacteria. After all my beauty treatments were completed, the lovely Emily Brickel of Chic Sketch did a quick sketch of me! Chic Sketch is a downloadable app where you send in a photo and get a personalized sketch! 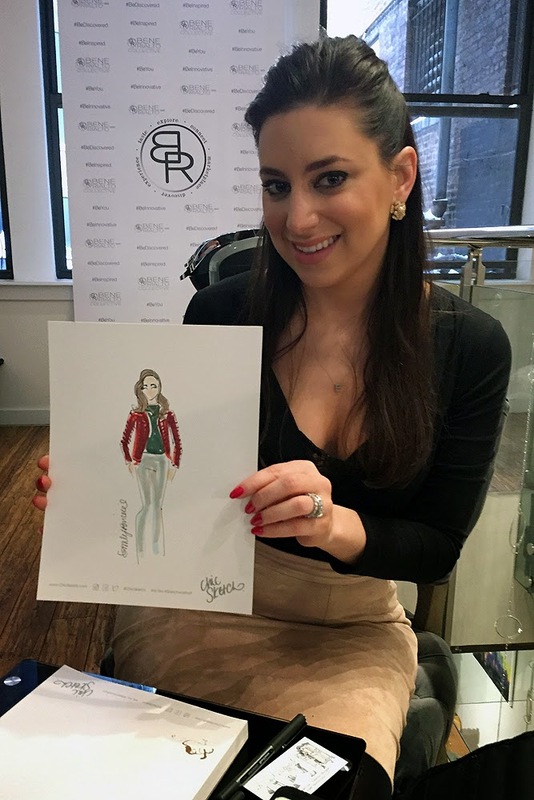 All you have to do is upload a photo to receive a custom sketch drawn by a real fashion illustrator. 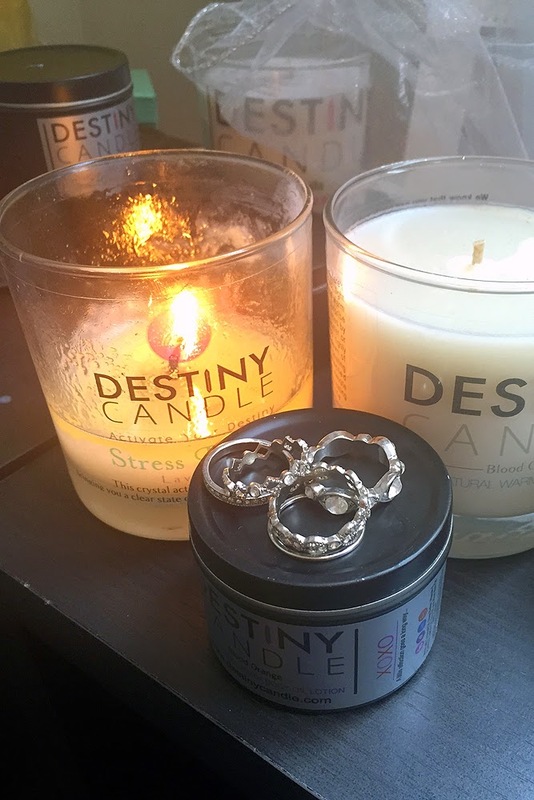 I was also introduced to Destiny Candles, which are super cool! They're 3 things all in one. A candle, body oil AND you get a special piece of jewelry valued from $10 to $10,000. They are made from 100% natural ingredients like top grade jojoba and soy oils and melt at a low temperature so they never burn hot. I took home a "Wealth" candle and can't wait to use it! 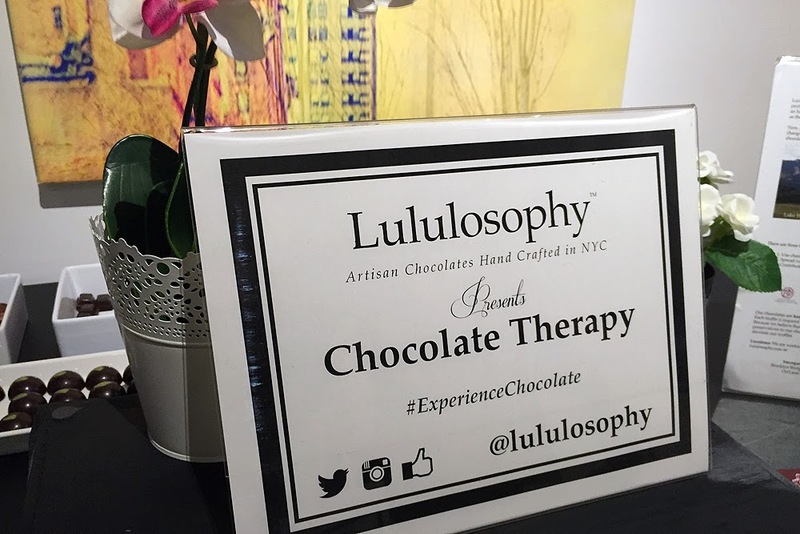 Before I left I got to sample some of the great chocolates from Lululosophy, which are handmade in New York City by Lucia Liu. She was on hand and took me on a chocolate journey to taste some of her delectable products! The chocolates were inspired by her travels and I got to try the following: Matcha Saké Truffle (my favorite! ), HK Milk Tea truffle and Coffee Brittle. All delicious! If you made it through this whole post, congratulations! Now go order some chocolate. YUM! Wow, that seems like an awesome day. That first even sounds particularly impressive! It looks like a great time so lucky! Yey, such a nice pamper day!! Looks like you had an amazing time! Love the nails :). Oh my, this looks like such a great day out. And I'm intrigued by the 'will not chip for 2 weeks' aspect of the nail wraps. Now that looks like something I should try - my nail colours chip after around 2 hours! This looks like it was soooo much fun! Those nails are so good! Oh, you nails look amazing! Your hair and makeup look spectacular!!! p.s. the first photo, an instagram photo I think, is not loading for some reason.I refreshed a couple of times and nothing. You look fab! What a fun little day. I love your nails!! What a fun day of pampering! Love your brows, I really want to get mine shaped again. Yay!! I'm so glad you had the opportunity to try Jamberry nails. I'm a Jamberry consultant and I'd love to send your readers a sample to try. You can request them at jbgjams.com/request-a-sample.